At Exodus Commercial Capital, we strive to ensure our products meet your needs and exceed your expectations. 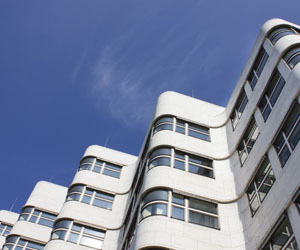 Our commercial real estate financing options provide you with many choices regardless of the size of the transaction. We can tailor a product to work for you. HUD and FHA: Funding offered through these loans is available up to $50,000,000. The loans are designed for use with healthcare facilities, new construction, multifamily rental housing rehabilitation, senior housing and acquisitions. They are available as non-recourse and offer full amortization and fixed low rates. Conventional: Offered for up to $100,000,000, these loans are often obtained to fund owner-occupied properties and stabilized investment properties, which could be anything from mobile home parks to self-storage units or industrial properties to multifamily properties. Construction financing: Loans range from $10,000,000 to more than $100,000,000, giving you the opportunity to get what you need to structure the right financing for your project. SBA 7a and 504: Terms run up to 25 years and interest rates start at 4.5 percent for these loans. They are often used for owner-occupied properties and flagged and non-flagged hotels. Equity and mezzanine financing: Tailored to your unique situation, these loans run from $5,000,000 to over $100,000,000. International financing: If you have a project in the Eurasian or European markets, we have products for you from $50,000,000 to $1,000,000,000. Bridge: This type of loan is typically available up to $100,000,000. We offer interest-only amortization, 80 percent LTV and variable rates to 14 percent. These loans help to cover the gap you may have between transactions to give you working capital to keep moving forward. CMBS: Commercial mortgage backed securities are available for up to $50,000,000. We offer fixed terms and low rate on these loans. A variety of options is exactly what we strive to bring you. Exodus Commercial Capital wants to ensure the commercial real estate financing you get from us exceeds your expectations and assists you with continuing your business success.